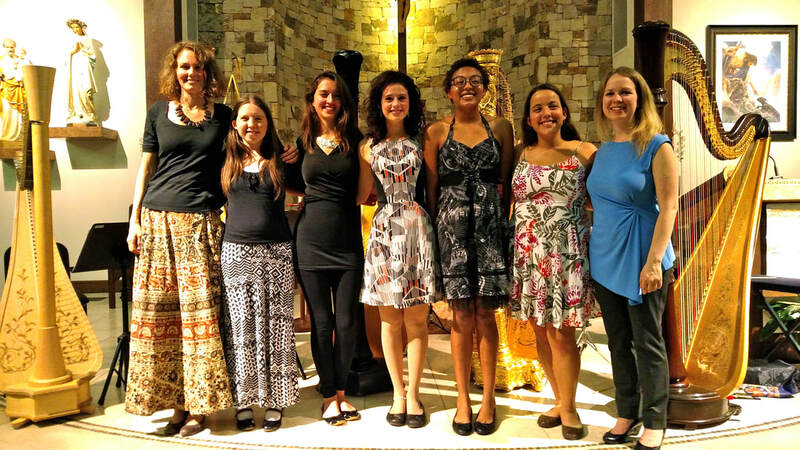 The Rocky Mountain Springs Harp Program strives to supplement the education of young harpists and chamber instrumentalists through intensive summer programs which treat each musician as a whole person, with teachers who act as mentors and friends. The program is mainly intended for students of all levels in middle school, secondary, or college education, but there are no strict age limits. All interested harpists are encouraged to apply! Training in harp technique, musicianship and performance is enhanced by program elements designed to improve mental attitudes and abilities, physical health and conditioning, aesthetic appreciation, and connections between music and other disciplines. The program utilizes the unique geographical, cultural, and recreational resources of the Steamboat Springs area to provide stimulating outdoor activities, interdisciplinary classes, and exposure to programs of other arts organizations, such as the Rocky Mountain Summer Conservatory and the Strings Music Festival.